Just want to inform you of a couple of events that we have scheduled at Tohkon in the near future. Our Annual Kata Clinic, featuring Sensei Eiko Shepherd, 7th dan, is coming up on February 13 – 15, 2015. 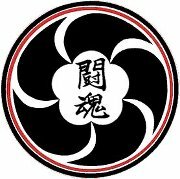 The featured Katas this year are Itsutsu No Kata and Koshiki No Kata. Of course on Friday night we are opened to review any Kata you may want to cover. Our first of three Senior and Masters Training Camps will be held on February 26, 27 & 28, 2015. It’s time to get ready for the National Championships in Irving, TX. See you all on the mat!!! This entry was posted on January 20, 2015 at 6:00 am and is filed under Judo Clinics. You can follow any responses to this entry through the RSS 2.0 feed. You can leave a response, or trackback from your own site.